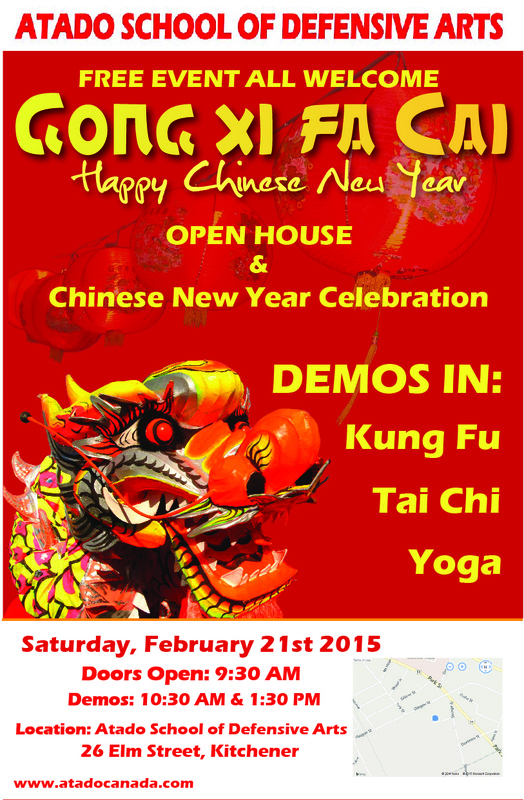 Just a reminder that this Saturday, February 21st Atado School of Defensive Arts will be holding an open house and two demonstrations for Chinese New Year. The students and teachers of Atado will take be taking part in two demonstrations at 10:30 AM and 1:30 PM. We encourage everyone to spread the word to their family and friends to attend and celebrate the new year!